May have lost its silver plating. 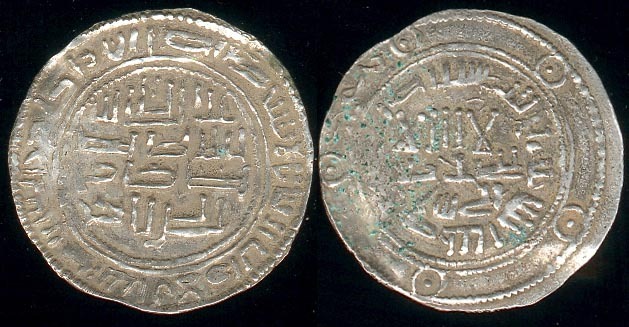 This coin was found with Carolingian coins and is probably a Christian imitation of a late emirate dirham. 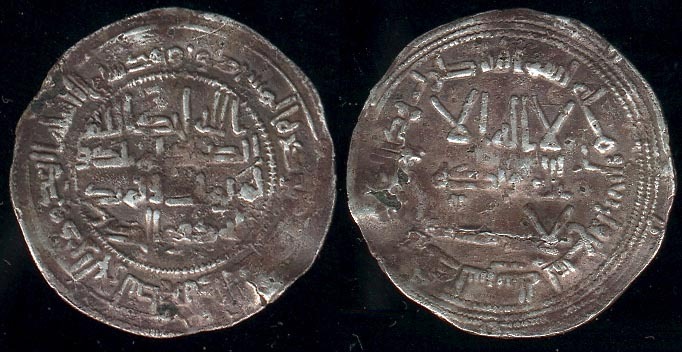 The anulets on the obverse margin and the imitative legend at 11 o'clock on the outer margin seem to copy some of the dirhams struck after the year 263. 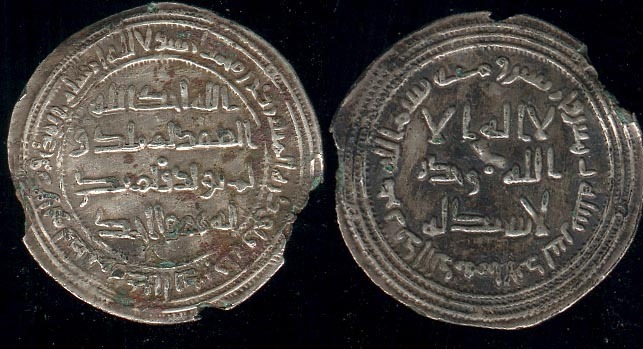 On the reverse margin one can discern a bungled Andalus twice written. 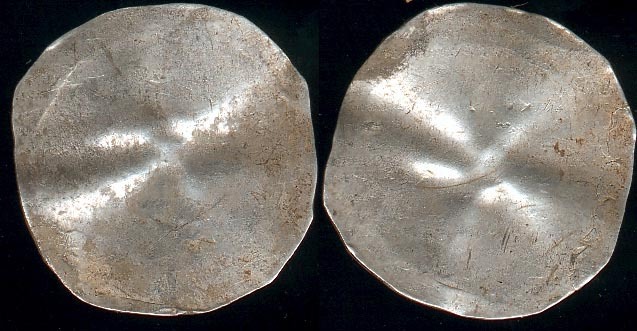 This blank was found with coins of �Abd al-Rahman II & Muhammad I.